Grovetrotter walking group member Jane Primack at the entrance to the Hayrake Trail. Thanks to the hard work of a Long Grove Eagle Scout, one of our neighborhood pathway trails was recently extended and restored. Known as the Hayrake Trail, this path along Indian Creek starts on Port Clinton Road and runs north, just to the east of the Com Ed right of way. This path is attractive for a variety of reasons: it contains woodland wildflowers, winds alongside a lovely creek, features benches on which to rest, and a vintage artifact (old hayrake salvaged from the creek) as a point of interest. But my personal favorite feature of this trail is that it is entirely in the shade. And on the hot and humid August day that I recently hiked it along with my fellow Grovetrotters, that shade was most welcome! We have Stevenson High School Senior William Jacob to thank for this, as he was the most recent local Boy Scout to choose the Hayrake Trail as his Eagle Scout project. William and his crew of volunteers spent several workdays this summer hauling mulch and clearing brush to restore the front section of the trail, and then extended the trail further north towards an eventual connection to Oakwood Road. In addition, William added a wooden entrance sign to the trail (pictured above) which is visible from Port Clinton Road so that residents can more easily access this community path. William was thanked for his service to the Village and the Park District at the August 9th Village Board Meeting, pictured below. Long Grove is a community that depends on volunteers to step forward when needed to maintain and improve our many beautiful open spaces. Congratulations to William for gaining some valuable leadership skills, and at the same time giving all of us one more shady spot to appreciate the wonders of nature. 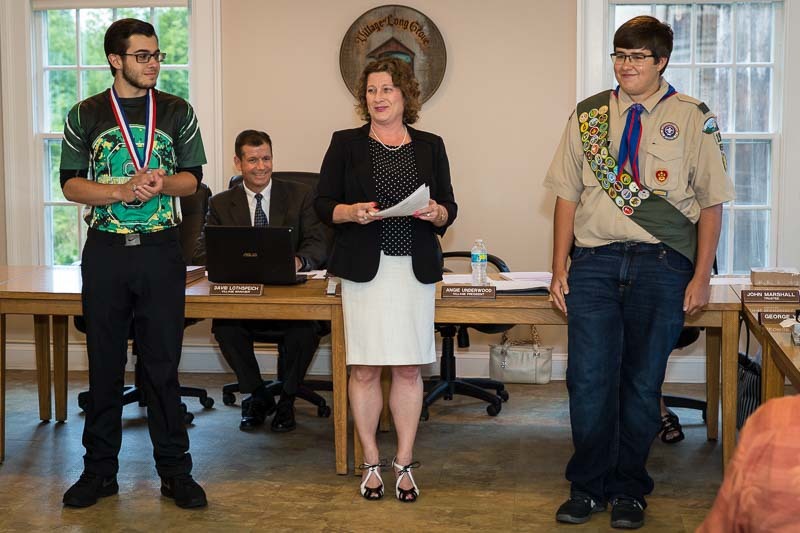 Honoring students at our August 9th Village Board Meeting: (L to R) Ted Tapas, Stevenson High School State Championship Men’s Bowling Team Captain; Dave Lothspeich, Village Manager; Angie Underwood, Village President; Eagle Scout William Jacob. Grove Trotters (L to R) Carolyn Denaro, Rosemary Thalanany, Marie Roth, and Angie Underwood on a walk in October, 2014. 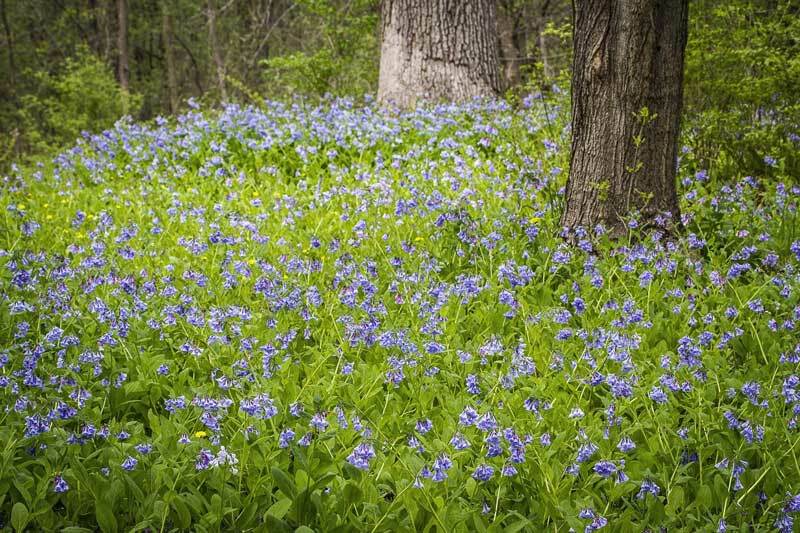 What is better than a springtime walk in a woodland; gazing at the blooms of the redbuds and virginia bluebells and listening to the songs of the spring peepers? Having a Grove Trotter or two for company, that’s what! The creative name for our Long Grove walking group is courtesy of resident Renee Clark, who first organized a number of ladies under this name to participate in a breast cancer walk in Chicago over a decade ago. That group disbanded, but several years later reorganized with the help of the Neighbors and Newcomers Club to form a weekly walking group to explore the many forest preserve trails and neighborhood pathways in and around Long Grove. 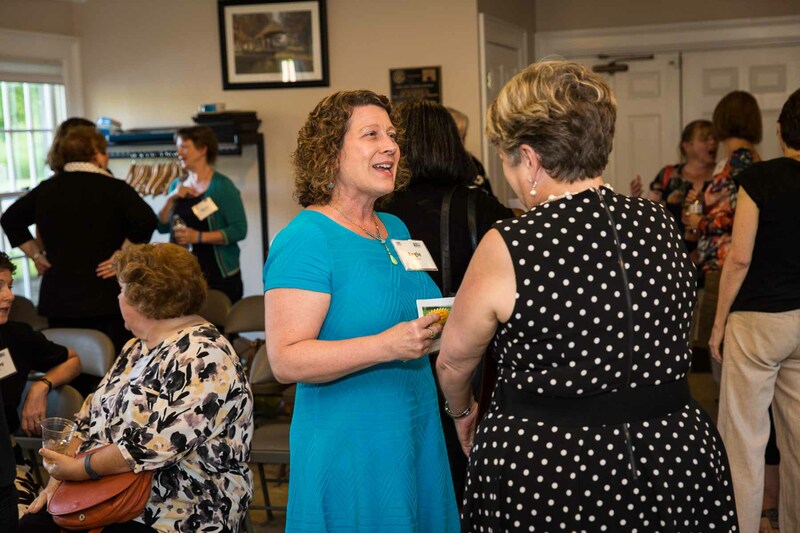 Our group is informal, fluid, and members join in as they are able. We are fortunate to have some great local places to get out and enjoy nature, but as women, we all know that there is safety in numbers. Plus, it makes us less likely to skip the exercise if we know a buddy is waiting to also hit the trail. And of course, there is the gossip…I mean, lively conversation to make the time pass more quickly! My first experience speaking up at a Village Board meeting was due to the Grove Trotters. Several of our members came to a meeting to ask the Trustees to allocate funds to help pave and extend a walking path on south Schaeffer Road. And it worked! The Village supported that path improvement almost 10 years ago, and this summer we are using grant funds to connect the Schaeffer Road trail to the Buffalo Creek Forest Preserve. I’m looking forward to exploring this new pathway in the fall with my Grove Trotter friends. This spring we are working on our daily 10,000 steps in Heron Creek Forest Preserve, Stillman Nature Preserve, Reed-Turner Woodland, and several neighborhood paths in Long Grove. If you would like to join the Grove Trotters for a walk, contact me via email and I will let you know the time and meeting place for our next outing. Get moving, enjoy the woodland wildflowers, and you might meet a new neighbor in the process!